 Imagine what it would be like for some of the legends of the faith to step out of the grandstands of heaven and take a lap with you in the race you are running. Men & Women like David, Moses, Isaiah, Mary, and Jonah. What would you ask them? What wisdom would they impart that would bring fresh encouragement and inspiration to your life? 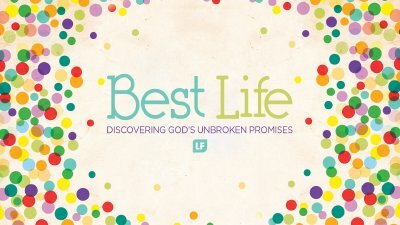 Could their overcoming faith in the midst of tragedy, temptation, and daunting challenge help fill your life with unlimited confidence and unleash new levels of faith in your world? Is it possible that the timeless truths of success, life, and faith are not outdated but very relevant in the 21st Century? 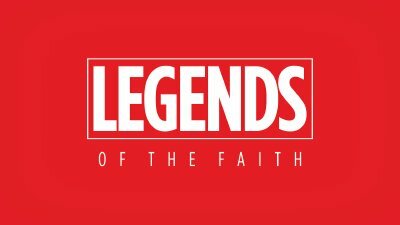 God is ready to release wisdom through these Legends of the faith to help you win in the battles of life that you’re encountering right now. So come and join us for Legends and unleash the champion in you. 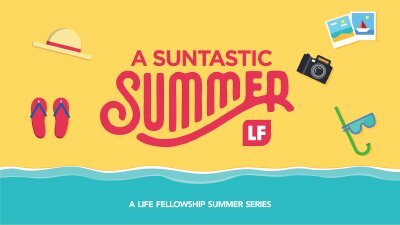 Summers at Life Fellowship are always incredible and this year is no different. Get ready to be encouraged in your faith and be drawn closer to Him like never before! Let’s let God make this summer your best one yet. The Genius Of Jesus Wk7. Each of us has experienced bad days, and these bad days are often compounded by our focus on the "badness" of the situation. But maybe we’re missing what’s been right in front of us all along. Life lessons that stand the test of time. Explanations that defy human logic. If you’ve experienced stress, pain, weariness, or an assault of character, this series is just for you. Each week Pastor Chris will take us on a study through one of the seven phrases uttered by Jesus on the cross which serve as the model for godly behavior while enduring hardships. Get ready to be encouraged by the genius of Jesus. You Asked For It Pt7. We all have questions. In fact, in most cases they’re tough questions about Life, God and the Bible. 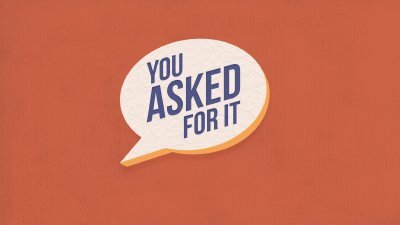 This unique seven week series is designed to answer the toughest and most asked questions, from our Easter survey of over 1,000 people just like you. 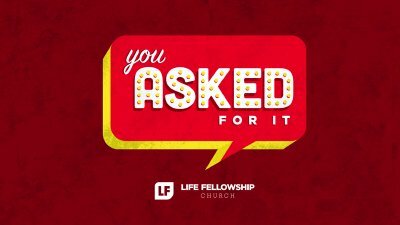 During these six unprecedented weekends, Life Fellowship Church will be answering your toughest questions, simply and honestly, from God’s Word. It’s up to you then, to decide what you really believe. Nowhere are we told to accept Christianity on blind faith. If it can’t stand up to honest questions, it doesn’t deserve to be relied on. So, make plans to join us, and be ready to leave having your questions answered. Can you imagine what it would have been like to grow with Jesus Christ as your own brother? That would be pretty difficult to walk in His shadow and live up to human perfection. But that's what James did. No one had a closer, more personal knowledge of who Jesus was and what He was like. And yet James would become one of the greatest advocates of the veracity of Christ's claims and resurrection. James was the leader of the early church of Jerusalem. His writings were controversial. He dared to challenge the indifference among those who named Christ. He was hated by the elite... yet loved by the commoner. And he speaks to us today. He is.... James the Just. 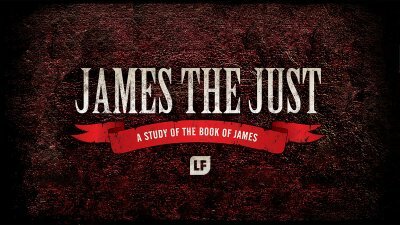 Join us as we study the book of James and find out what God is speaking to His church 2000 years after the martyrdom of one of God's greatest saints. As we walk out the journey of life, we each begin to thirst for something more. We want more than life just the way we know it. It’s a thirst for more peace, more fulfillment, more purpose. To live life to the fullest. That was God’s plan all along. Since ancient times He has made promises that He will quench that thirst. And the promises He made long ago stand at the heart of everything He wants to do in your life. Join Pastor Chris in this 6wk teaching series and discover the life giving power of these unbroken promises revealed in the last supper of Jesus. Get ready to experience the Best Life. You Asked For It Pt6. You Asked For It Wk6. We all have questions. In fact, in most cases they’re tough questions about Life, God, and the Bible. This unique six week series is designed to answer the toughest and most asked questions from our 2017 Easter survey. 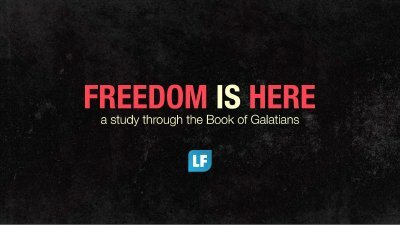 During these six unprecedented weekends, Life Fellowship Church will be answering a variety of topics that you wanted to hear most. It was a Red Letter Day. Bloody, beaten, and nailed to a cross, a dying Jesus looked at those around Him and spoke His final words as a man. What did he say? Each statement serves as a life lesson to help us thrive in tough times. In short, JESUS SUFFERED HIS WORST DAY SO THAT YOU COULD ENDURE YOURS. 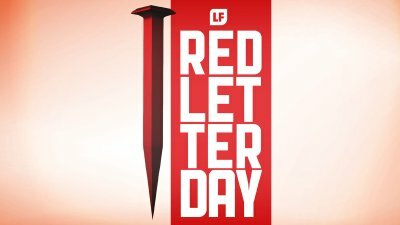 Join us as we relive Jesus's final hours, and celebrate His ultimate victory on this Red Letter Day. Times are changing. Culture and Morality have shifted away from the principles of the Word of God. In order to stand our ground we will have to learn the secrets to live right in in an ungodly world. 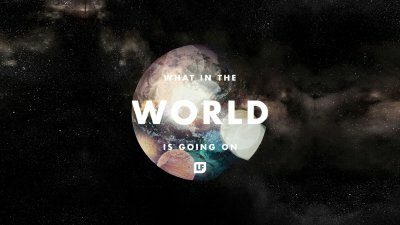 During this eye opening six week series called what in the world is going on, Pastor Chris will walk you verse by verse through the Book of Daniel. Never before has this book of the Bible been more relevant than today. As culture evolves, discover that God doesn't. 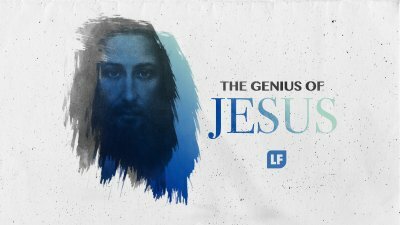 The Genius Of Jesus Wk6. 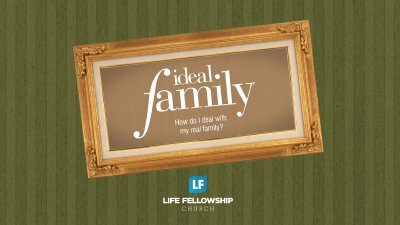 Marriage, Parenting, Stress, Financial Fitness and more will be the topics at hand as Pastor Chris begins a practical five week series called, “Ideal Family”. The God who designed the family intended for it to be more than what we’ve made it. So why not make plans to join us as we discuss God’s design for your real family. You Asked For It Pt5.